Not one of Hollywood’s ‘Ordinary People,’ especially when it comes to super-star actor, director and supporter of the arts, Robert Redford recently celebrated his 82nd birthday and announced his retirement as an actor. 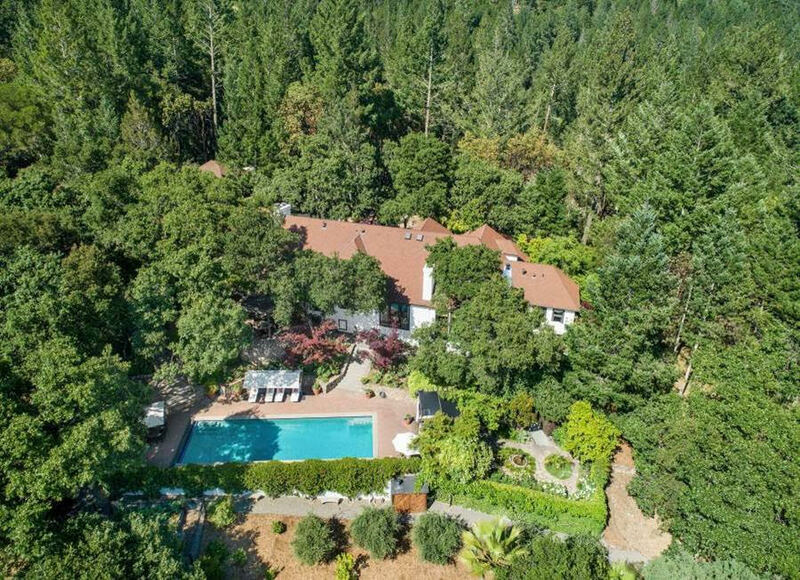 Redford’s charming Napa getaway lies perched on a knoll on 10 ultra-private acres surrounded by woods and vegetation with walking paths. The compound includes the main house, a 90-square-foot artist studio/guest house and two large garages. The 5,200-square-foot main house is modest by film mogul standards with three bedrooms, four bathrooms, a large great room, den, library-office, sunny white kitchen and formal dining room. Multiple wood-burning fireplaces exist throughout the home. The quaint studio/guest house has a huge open space filled with light from a wall of French doors and double garage door that rise high into the vaulted ceiling. One of the two garages houses a large workshop and exercise studio. Terraces by the pool, spa and outdoor dining areas offer calming views and are perfect for entertaining.